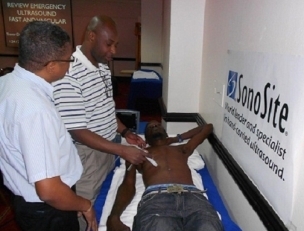 KINGSTON, Jamaica — Sixteen doctors are to benefit from a two-day Emergency Ultrasound and Critical Care Training session starting today (Monday, January 20). The Kingston Public Hospital (KPH) has once again partnered with the JAHJAH Foundation to host the training which is now in its seventh year. 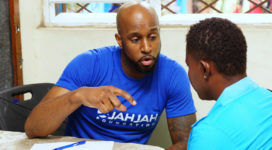 It will be lead by Jamaican-born emergency physician, Dr Trevor Dixon, founder of the United States-based JAHJAH Foundation which is funding the training. 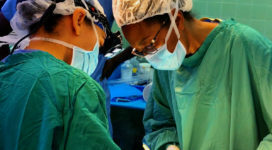 Dr Hugh Wong, Head of the Accident and Emergency Department at KPH said the doctors participating in the training work in hospitals across the island, including the Cornwall and Mandeville Regional, Kingston Public, May Pen and St Ann’s Bay hospitals. “We are very grateful to Dr Dixon who has consistently donated his time and expertise to our local doctors,” he said. Dr Wong said emergency ultrasound allows doctors to see inside the abdomen, chest and pelvis of an injured patient in seconds. It is can be performed at the bedside in the emergency room on a patient who is too unstable to be transported outside of the accident and emergency department. Emergency ultrasound is also useful for the placement of Intravenous catheters, finding foreign bodies, and diagnosing Obstetric and Gynaecological complaints. Some topics that will be covered during the training include vascular and IV access, emergency ultrasound, billiary ultrasound, emergency first trimester ultrasound and introduction to critical care ultrasound.